QGIS: What Is It and How Does It Work? Editor’s Note: Nowadays everything costs, whether you are a solo practitioner, in a small business, or part of a large firm seeking to expand. You buy a new laptop, you need an operating system, then office software, then a broadband subscription; the cost keeps escalating. Are you bound to this legacy progression of costs? Not necessarily; there are now more options. Instead of buying an operating system, you could install Linux, a free, lightweight, and trusted OS (broadly used for more than 25 years) and is less vulnerable to viruses and hacking than mainstream OS. You could use Google Docs, Sheets, and Slides for free, not paying a single penny for your office tools. 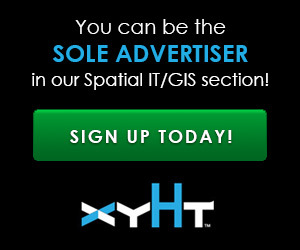 So, what if I told you there were GIS software that is free, has been around for over a decade, and is used across the world? I am, of course, talking about QGIS, and it isn’t just for GIS nerds. Now that GIS has become an integral part of a growing number of everyday elements of surveying, engineering, and construction, folks from these fields have been looking to get into GIS; we hear this from many of our readers and at conferences. QGIS is not only a good start but may turn out to be all that some users need. About 10 years ago our Europe editor Nicholas Duggan was doing offshore survey work, and he writes, “There were many formats I couldn’t use with my proprietary geospatial software, and I fell into using QGIS due to the enormous amount of geospatial data formats it worked with. QGIS is open source software. Gone are the days when “open source” meant bug-ridden or home-made; in fact, quite the opposite. QGIS has become the GIS for those looking to develop, expand, or move away from the proprietary software options. But what does “open source” mean and how does it work? Nick asked a few team members behind QGIS to say a bit more about the subject. You’ll find four articles in this issue from key leadership in the QGIS community. We begin with an intro to QGIS (and the subject of open source software) by Nick Bearman, noted GIS trainer and consultant at Geospatial Training Solutions and teaching fellow in geospatial analysis at University College London. Nicholas Duggan made this map of Sedbergh, UK, in QGIS using 2.5D and shadow techniques. All surveying and AEC work involves managing data, whether it be gathering new data, managing and sorting existing data, or delivering projects. GIS (geographic information systems) brings these tasks together so you can manage all this data in one setup. GIS can also integrate with a range of BIM software and procedures, allowing for seamless integration of GIS, CAD, and other data sets. GIS provides surveyors and AEC professionals with a range of tools for planning, implementing, managing, and collating data for a whole surveying project. QGIS is a desktop GIS, a piece of free and open source software (FOSS). It has been competing with commercial GIS software suites, like Esri’s ArcGIS, since 2011 (as QGIS 1.8) and has now reached version 3.0. [Editor’s note: upon first encountering QGIS it is not uncommon for folks to wonder where the “Q” came from in QGIS. At one time, in its earliest incarnation, some referred to it as ‘Quantum GIS’. But that term, since around V2., is now quite obsolete and there is a strong desire from current leadership and contributors to use only the trademarked ‘QGIS’.] People from commercial companies, the public sector, universities, and small and medium enterprises are using QGIS. QGIS desktop screenshot of local land use planning zoning. Credit: Schemata d’esempio. As an individual, you can just download the software (qgis.org) and use it for your work on most operating systems. However, many companies have a wide range of processes already in place and need a carefully planned migration to move to a different piece of software. Many consultancies offer this service, with some being supporters of open source geospatial (OSGeo) and/or QGIS, as listed on their websites. Many different companies use QGIS for mission-critical applications across the globe. For example, Windsor & Maidenhead Borough Council used QGIS for security planning for the recent royal wedding (Prince Harry and Meghan Markle). The British Antarctic Survey uses QGIS both for planning expeditions to the Antarctic as well as in real time while they are on the ground, where speed and reliability are vital. In addition, the NSA (U.S. National Security Agency) uses a range of open source software, and the NGA (U.S. National Geospatial-Intelligence Agency) has a contract with Boundless for geospatial support, and their software stack comprises a range of open source spatial solutions, including QGIS, R, and PostgreSQL/PostGIS. Both NGA and USGS regularly contribute to open source projects on GitHub. Everyone has come across the concept of free software; after all, who doesn’t use a free web browser, free social media, or a free search engine? However, given the recent high-profile revelations of entities using data gathered from social media platforms such as Facebook, we might start to wonder how some “free” software is being paid for. However, there is another option: FOSS, or free and open source software. Many pieces of open source software are available: LibreOffice, Thunderbird, Firefox, Ubuntu, QGIS, Inkscape, etc. “Free” in this context can be interpreted in two ways: “free as in speech” (libre) or “free as in beer” (gratis). The focus for open source software is “free as in speech” (i.e. LibreOffice). This is often promoted as allowing you to see the source code of the software, understand how it works, and be free to use the software to make money and free to change the software if it doesn’t do what you want it to. However, it is usually the focus of “free as in beer” (gratis) that attracts people to the software. The promise of great pieces of software, for home or commercial use, for $0 is why many people and organizations use FOSS. Yet, “there is no such thing as a free lunch.” This is as equally true for software that uses advertising/our data to pay for its development (i.e. Facebook, Google, etc.) as it is for FOSS (which doesn’t have ads). An amazing amount of software creation is done gratis, through the enthusiasm of volunteer contributors who can dedicate some of their time to developing this software. However, much of the vital (and sometimes less interesting!) development must be paid for, such as bug fixing, website and infrastructure hosting, certification, etc. Therefore, if you use open source software, it needs your contributions. Free and open source software for geospatial (FOSS4G) includes many pieces of software, including desktop (e.g. QGIS), server (e.g. GeoNode, MapServer), and web (e.g. OpenLayers, GeoServer). The OSGeo (Open Source Geospatial Foundation provides a legal framework for contributions to all its supported open source projects and has 501(c)(4) legal status as a not-for-profit organization. It has been key in developing a whole range of geospatial software and libraries from small, open source projects to enterprise-level, fully fledged products. There are many advantages to organizations that migrate from commercial GIS software to open source. Often the headline benefit is seen as a lower cost, and to some degree that is true; with commercial software you must pay license fees, whereas with FOSS you do not. However, if you wish to have a support package, that does cost money, and if you want the software to continue to exist, then it is vital to contribute to the project. With FOSS you can get support from different organizations. With commercial software, even if you pay $25k per year and then wait seven working days for an answer to your question, if that answer doesn’t help you have nowhere else to go. With FOSS, if you buy a support package for QGIS from company X but their support isn’t up to scratch, then you can take your question and money elsewhere. It is vital to contribute some of the savings from using FOSS back to the community. It is up to you how much you contribute back, but the more that is contributed, the more features, documentation, and support can be added. We have a vibrant community of developers willing and able to remove bugs and add new features to FOSS4G, but they need to pay their mortgage and put food on the table. You can support their work by donating. (qgis.org/en/site/getinvolved/donations.html) or paying for a new feature that you would like. All software has problems. But if you encounter these problems with FOSS, you can report the bug along with what you were trying to do and data to replicate the problem. The bug will then be fixed by the developers, and a guaranteed fix is often included in many service-level agreements. Most software is hosted on GitHub (e.g. QGIS) or other open repositories and have instructions for setting up your development environment. Another option is to contribute to documentation; you don’t have to be a programmer for this, and these contributions are as valuable! Over the last 10 to 20 years we have seen a complete change in how software development is funded. Very few products have a one-off license fee now; instead we have subscription-based, “free” ad/data-based, or free and open source. Free and open source is a completely different structure for funding software, and for it we need all users to contribute back to the community, whether it be through contributing money, reporting bugs, developing code, writing documentation, or any combination of these. Software developers still need to be paid, and without these vital contributions, free and open source software will not continue to exist. QGIS is a great example of geospatial software and gives its commercial rivals a good run for their money. Check it out qgis.org, and if it’s useful for you, contribute in whatever way you can. Nick is a GIS trainer and consultant at Geospatial Training Solutions and a teaching fellow at University College London.